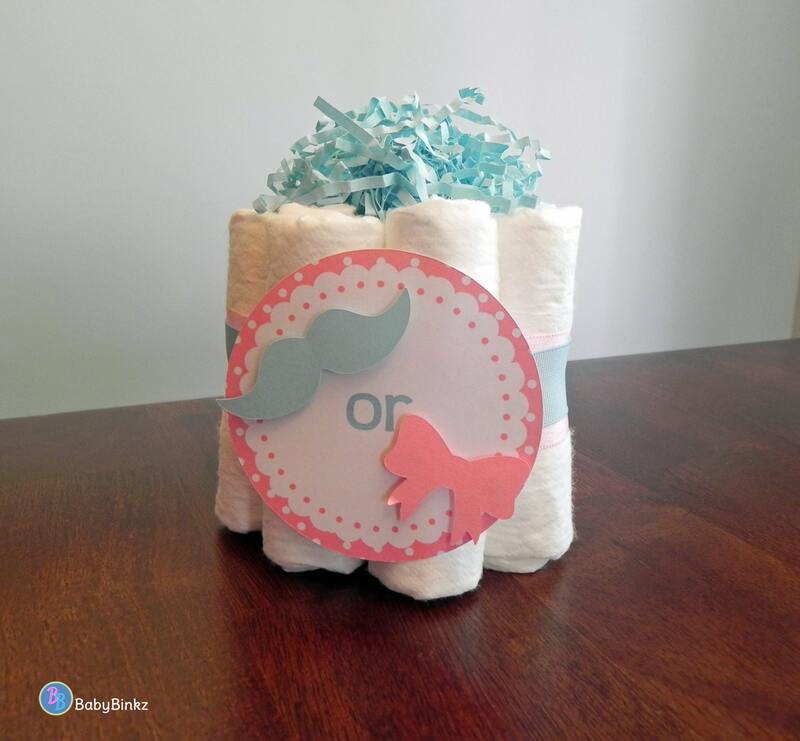 This adorable Diaper Cake makes the perfect Gender Reveal Party gift or centerpiece! Handcrafted with 8 premium disposable diapers, themed decorations, and premium coordinating ribbon, they are tons of fun at a mini price! This listing is for ONE Mini Diaper Cake. 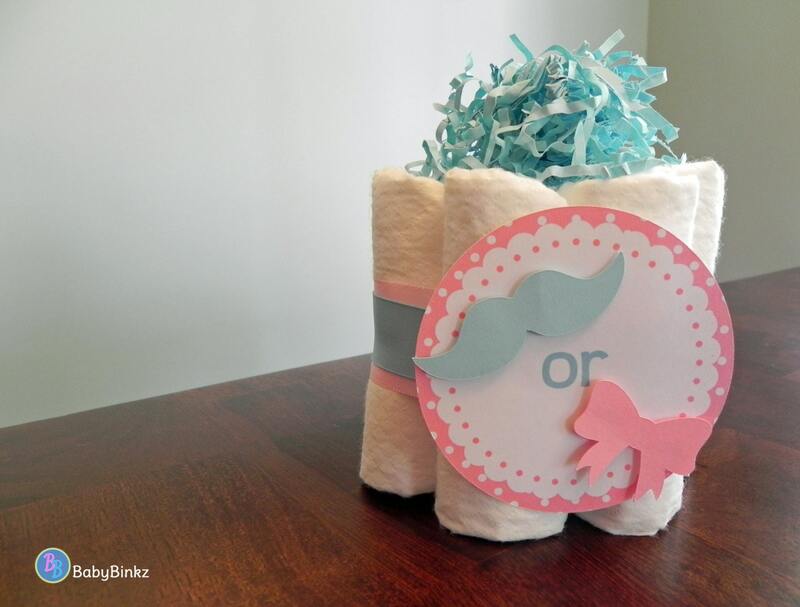 Each Mini Diaper Cake is handcrafted, and made with TLC in the BabyBinkz studio!